Welcome to a TLC Book Tour Stop for The Garden Lady by Suzan Dworkin. Susan Dworkin wrote the New York Times bestseller The Nazi Officer’s Wife, a tale of love and terror in the Third Reich, with the woman who lived the story, the late Edith Hahn Beer Other books include Making Tootsie, the inside story of the great film comedy with Dustin Hoffman and Sydney Pollack; The Viking in the Wheat Field about the eminent seed banker, Dr. Bent Skovmand; Miss America, 1945, Bess Myerson’s story; Stolen Goods, a novel of love and larceny in the 80s; and The Commons, about an agrarian revolt led by a pop star and set the not-so-distant future. Susan was a long-time contributing editor to Ms. Magazine. Her plays are often performed in regional theatres. She lives in Massachusetts. I agree with the publisher’s blurb. This is an urgent novel. I read the first half on a flight to Chicago. I thought it was really intriguing and could not wait to finish it on the return flight. There’s a lot going on in the novel. The first half tells the story of Maxine and her best friend Ceecee escaping some dire situations. I enjoyed this part of the novel as Maxine became the protector and Ceecee became the voice of reason. I think the premise is interesting, that of a once famous beauty flitting through life, trying to find meaning and perhaps escape some traumatic childhood memories. I became a bit confused during the last half. Maxine ignores her husband’s business practices and colleagues. She (sort of) throws herself into gardening (hence the title). Husband is removed from the picture (sort of). 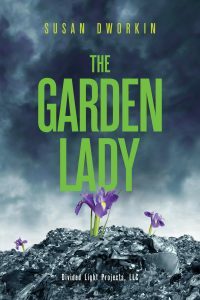 Maxine finds herself in some odd situations, from returning home to find her house filled with priceless treasures to starting a gardening project on top of a toxic landfill. Then, things just get a bit weirder. There’s some minor characters who are kidnapped and imprisoned, duped into thinking orchids grow from maple trees in Vermont…and we find out that Maxine’s first husband was a dwarf. There’s almost too many characters. These are characters that I would love to care about but the novel wasn’t long enough for them to be fully fleshed out. This is true for Maxine (the main character) as well. I wanted to sympathize with her and almost did. 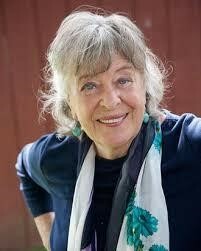 Her humor comes out a bit, wry and bawdy, but it can’t counteract the surrealistic settings Dworkin puts her heroine in. I’m still mulling this one over in my head. Maybe I missed something. There’s not a lot of food in the novel even though there’s a lot of diner parties and charitable social galas. A few things like BBQ and chicken tacos are mentioned at the catered events. I was stuck on lemons and ice. After Maxine is forced to quite smoking in a harsh cold-turkey kind of way, she takes up the habit of sucking on lemons and crunching on ice. In a small saucepan over low heat, cook and stir sugar and water until sugar is dissolved. Remove from the heat and let come to room temperature. Stir in lemon juice. Place in refrigerator until chilled. Obviously, you can substitute regular lemons. I, ironically enough, have bags and bags of frozen Meyer lemon ice cubes in the freezer. (Maxie would have gone nuts for these.) I just defrosted a gallon bag of frozen cubed juice and I was on my way with this recipe. Please check out what others thought. Can’t remember when I last made or had a lemon ice. Looks super refreshing! It would be better in the heat of the summer but it was great on a warm spring day. This would be good for Nathan’s graduation party in late May. You bring the lemons and your freezer and we could make this for the garden party. Lemon ice sounds so very refreshing. Can’t wait until it gets a lot warmer so I can enjoy this. Thanks! Yes, I agree. This would be better on a hot day. The contrast between the publisher’s blurb and your (honest!) reactions is extreme enough to turn me off of this author completely. Thanks for that. 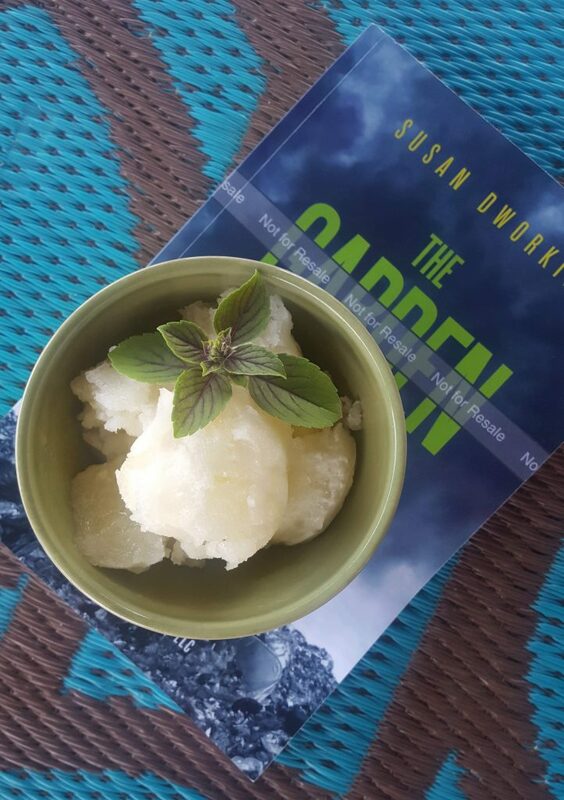 Though I think I would hate the books… I would love the lemon ice. Well, I hate that I made you hate the book without even reading it. I did really enjoy the first half. 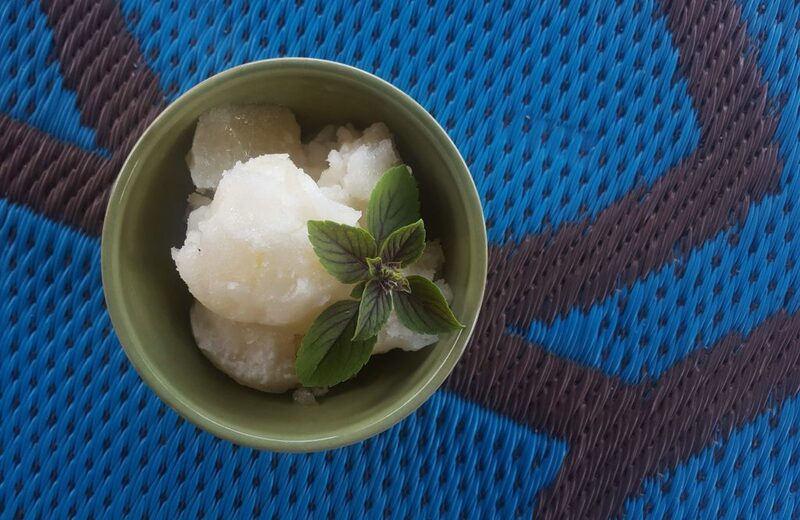 That lemon ice will be perfect around the pool this summer. Thanks.